How Do I Close a PO Box? A post office box is a lockable mailbox situated in a post office station. If you live in a specific locality where mail is not delivered directly to your home, then PO Boxes can be used to collect mail. Nowadays PO Boxes can also be used for another purpose. Visit post office: You can pay a visit to your nearby post office where your PO Box is situated to request to close it. How to Request a Refund for PO Box Fees? Request for refund can be made in two ways. Before requesting a refund, you should determine if you are eligible for a refund first. If you are maintaining your PO Box online, then you should visit this link – https://www.usps.com/manage/po-boxes.htm. Once you sign in to your account, you will locate your box in the Manage Your Account page. You will see the link to “Close / Request a Refund” on the page. You can also request a refund online when you have not fulfilled the verification process within 30 days of your application. In case of any technical support for the online PO Box application, you can contact the Technical Support team by dialing at 1-800-344-7779, or you can also send an e-mail to uspstechnicalsupport@mailps.custhelp.com. If you are maintaining your PO Box at any of the local Post Offices, then pay a visit to that post office. You can request a refund there. Can a PO Box be transferred? Yes, the PO Box can be transferred without any payment or additional fee. The box can be of the same size and same fee category at a different location or the same location. The box holder can locate and rent the box of their wish. To transfer a PO Box, you need to fill a new application and submit it to the location where service is currently provided, or it can be submitted to a facility where service is required. PO Box can be transferred only once for a semiannual payment duration. You need to fill out the PS Form 3575 and submit at the location. 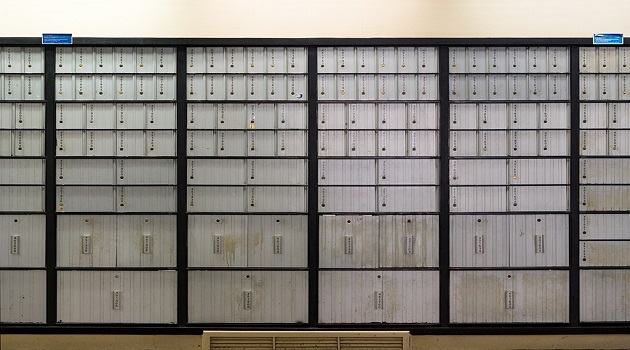 Box holders should get in touch with their local Post Office with their queries such as whether or not a close by office would be considered as a location of the same Post Office. Why was my PO Box Closed? Though your PO Box may be closed due to several reasons, one main reason is delayed or no fee payment. The Post Office has authority to close your box if you haven’t paid the fee on time. Once the due date is crossed, the access to the box will be blocked. The box holder usually has ten days to pay the dues, until then you can collect the mails from the box. After the ten days, you will have no access to the box, and your mails will be returned as undeliverable. If a box holder dies or absconds before the end period for which the PO Box is offered, a temporary action is to allocate PO Box to another person listed on the Box, or administrator or an appointed executor for a deceased person can also file a temporary change of address form to let go the mail to the current PO Box. Previous Article What is the Carrier Release Program?